Bee, snake or scorpion venom may sound more like a health nightmare than a cure, but they could in fact be used in cancer-fighting drugs, a new study suggests. Injecting someone with pure venom could have disastrous health consequences, but researchers say they have found a way to avoid such issues. They separated the "useful" venom proteins and peptides, making them specifically target malignant cells while evading healthy ones, therefore eliminating harmful effects that the toxins would normally have on a person's health. "We have safely used venom toxins in tiny nanometer-sized particles to treat breast cancer and melanoma cells in the laboratory," study author Dipanjan Pan of University of Illinois at Urbana-Champaign, said in a statement. "These particles, which are camouflaged from the immune system, take the toxin directly to the cancer cells, sparing normal tissue." Venom from snakes, bees and scorpions contains proteins and peptides that can attach to cancer cell membranes, which could potentially block the growth and spread of cancer, as previous studies have suggested. However, scientists have been unable to harness these promising anti-cancer properties into a drug, because venom injection is likely to cause serious side effects such as damage to heart muscle and nerve cells, unwanted clotting or bleeding under the skin. And this is where the new research comes in. When Pan and his team examined honeybee venom, they identified a substance called melittin that prevents cancer cells from multiplying. 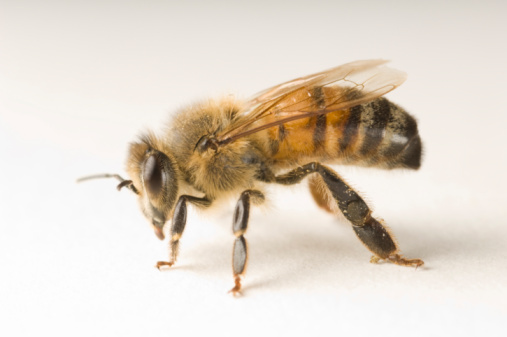 However, bees make very little of this substance, so it is not practical to extract it for lab testing and clinical use; instead, the researchers synthesized melittin in the lab. Then they injected the synthetic version of the toxin into tiny nanoparticles. "The peptide toxins we made are so tightly packed within the nanoparticle that they don't leach out when exposed to the bloodstream and cause side effects," Pan said. Those synthetic peptides target and reach the tumor directly and get attached to cancer stem cells, which in turn blocks them from growing and spreading -- at least in the lab. Pan said that he would next like to test the new treatment on rats and pigs, and, eventually, on human patients in the next three to five years. The study was presented at the 248th National Meeting of the American Chemical Society (ACS). The ACS also released a video explaining how it works.